Smartphones have turned out to be your digital mini-computer for all your needs and their usage has increased. Smartphones have just become more than the means of only communication. With top applications, features and functionalities we can complete most of our daily tasks. Have you ever wonder about the apps that rank high in popularity? Also, do you know how many times an average person looks at their phone in a day? 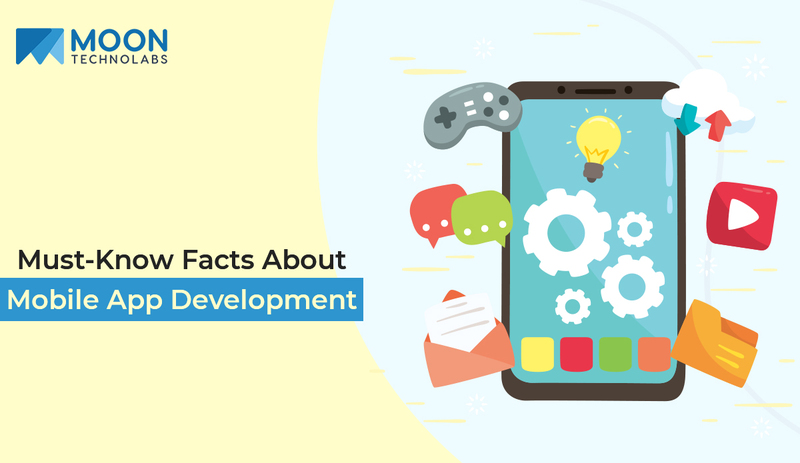 Read more to find out about these answers and many more such interesting and fun facts about the mobile app and its development. 1) The year-round projection for 2018 for downloading mobile apps was spotted at 269 Billion. In other words, approximately 30 apps for every person on Earth. 2) Facebook stands at the top of popularity with a maximum number of downloads until now. This shows the dominance of social media apps and its relative significance in the marketing field. Recently, gaming apps have picked up the pace and games like ‘Clash of Clans’, ‘Clash Royale’ and ‘PUBG’ is trending more in the number of downloads. 3) For a long time, Youtube and Google Maps remained the top most downloaded app which belongs to Google. Each of these apps had over a billion downloads. 4) Between the two most famous mobile app stores, Android Play Store has the highest number of applications with 2.8 million apps. 5) With higher and strict coding standards, Apple App Store offers a total of 2.2 million apps to download in all categories. 6) The sheer number of app downloads are higher in Android Play store as compared to Apple because of the reason that there is a higher number of Android device users than iPhone. 7) There is almost a massive surge in the revenue generated by the mobile applications. It raised from $18.56 billion in 2012 to over $77 billion by the end of 2017. 8) Major earning source for mobile app developers is from app development and app stores. Figures suggest that Apple has paid over $50 billion to app developers since 2008. Top mobile app development company are also investing hugely in this. 9) The most profitable app is, of course, belong to the gaming industry. ‘Clash of Clans’ by Supercell, since it’s launch in 2012 has generated over $5 billion. Other gaming apps such as ‘Clash Royale’ and ‘PUBG’ are also in the boom at the moment. 10) A study shows that by 2024, around 42% of all sales in the UK will be derived from mobile applications. This suggests that mobile app development will contribute to the substantial factor in driving sales. 11) In-app sales through advertisements are also going to contribute to the biggest revenue generation source. By the end of 2018, it is expected to hit a figure of approximately $16.9 billion. 12) An app named ‘I Am Rich’ was priced at $999.99 and the only thing that the app does is to display a shiny gem with a positive affirmation. Eventually, the app was pulled off by the App store moderators but still, 8 people downloaded it. 13) With a higher number of apps in the store, the average price of an app had come down to $0.99. App owners are now earning a higher share from the increased sales figures rather than higher profit margin. 14) More than 50% of apps in Apple’s App store have never been downloaded. 15) App developers charges vary in the different regions of the world. The cost of app developers in India starts from $15/hour and it ranges to as high as $225 for app developers in North America. 16) India remains the second largest app market for mobile users after the USA. Almost 70% of the WhatsApp users are from India, proving India to be one of the strongest and emerging market for the mobile app industry. 17) Social Media apps are the king. Over 65% of mobile users spend the majority of their time on social media apps. 18) Text & communication apps have shown great potential in the US, with an average of 1/5th of the day spends on the said apps. 19) Users spend a lot of on gaming apps while merely 1% of the usage is inclined towards lifestyle apps, i.e, health and fitness apps. 20) Another interesting fact about an average smartphone user is that they unlock the phones over 80 times a day which is contributing to around 3,000 strokes/swipes per day. 21) There is a major shift towards app culture for everything. There are apps for smartwatches, TV and other related shows. 22) With the introduction of AR (Augmented Reality) technology in apps, Pokemon Go was the first one to set trend for users as well as app developers. 23) iPhone users spend typically more time on apps than they do so on iPads. 24) Desktop and website culture is slowly diminishing as the same information can be accessed via smartphone and apps. Moreover, it is more convenient as it can be used anywhere, anytime even while you are on the go. 25) Because of the huge and increasing competition, most apps are becoming free to download with in-app purchase options. Such kind of apps is becoming more popular nowadays.